At six stories tall, the New Carver Apartments doesn’t exactly tower over the Santa Monica Freeway that zips past its windows. Yet the drumlike structure is impossible to miss, even at 65 miles per hour. 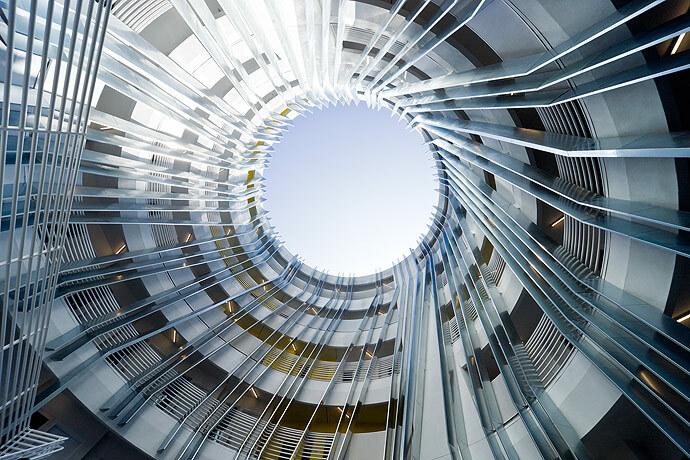 Los Angeles–based architect Michael Maltzan’s design is as formally iconic as the cylindrical Capitol Records building, which makes the fact that it was built for one of L.A.’s neediest populations—the chronically homeless—even more surprising than the novel architectural expression. 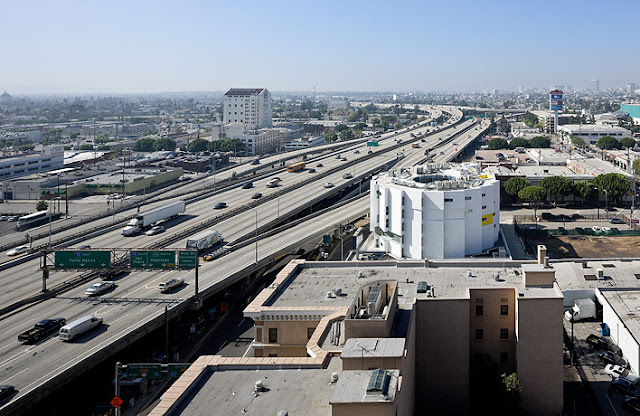 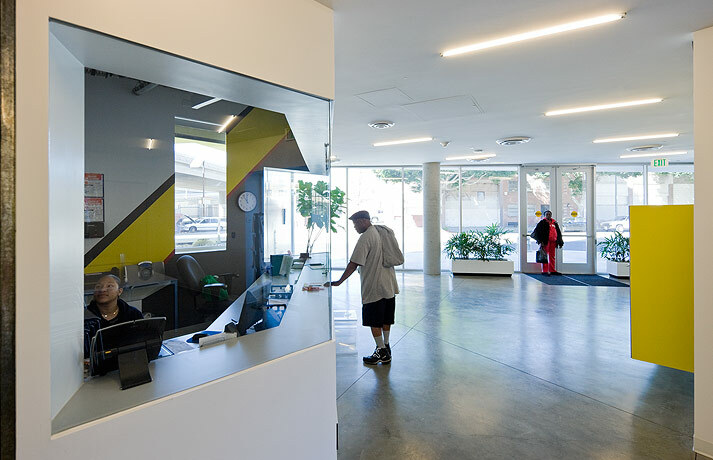 The client was the Skid Row Housing Trust, a nonprofit that has spent more than two decades building supportive housing—first by renovating dilapidated hotels near downtown L.A., then by embarking on new construction. 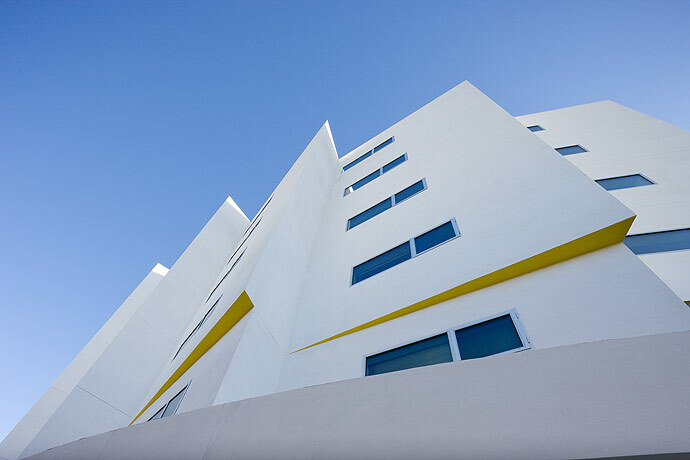 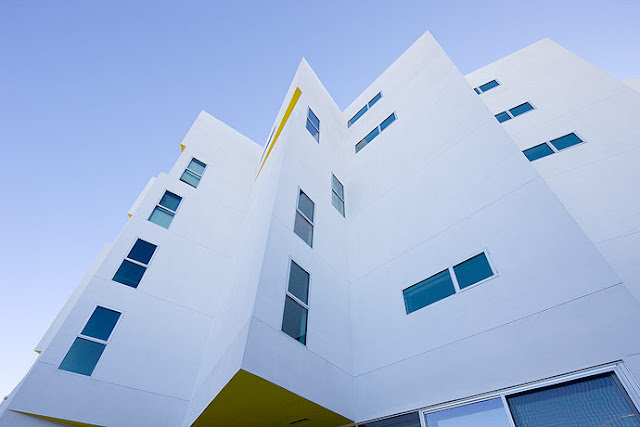 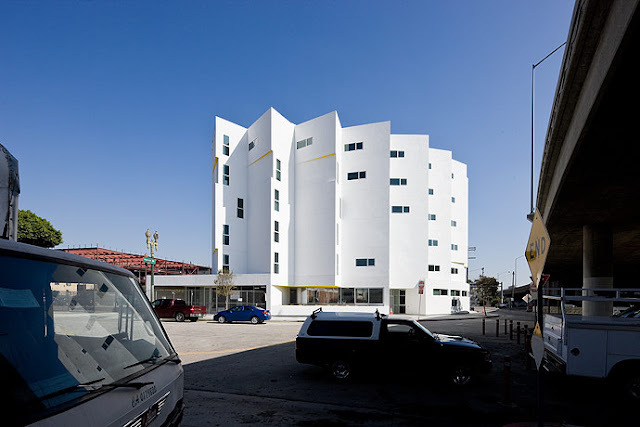 The Rainbow Apartments (completed in 2006), Maltzan’s first building for the organization, is adjacent to Skid Row (otherwise known as Central City East), but the New Carver Apartments is farther afield, sited in South Park, a rapidly developing neighborhood near L.A. Live and the Staples Center. 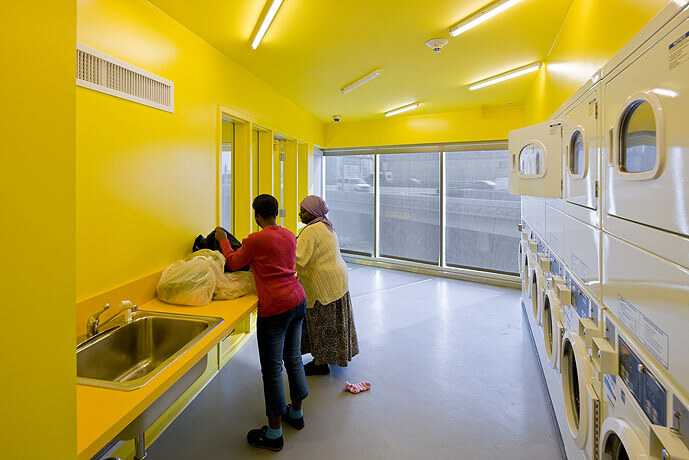 However, it takes a lounge and laundry room on the third floor to see Maltzan’s design at its most polemic. 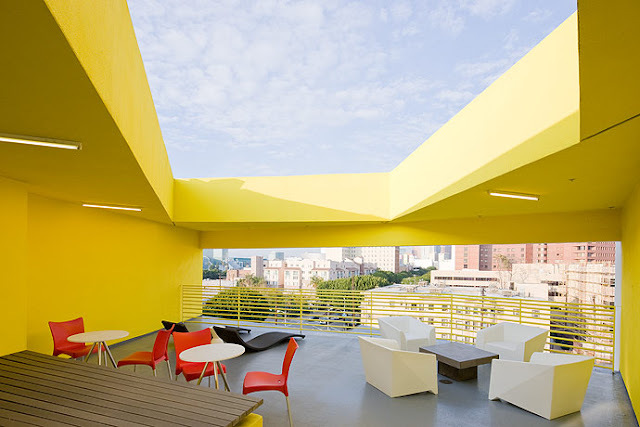 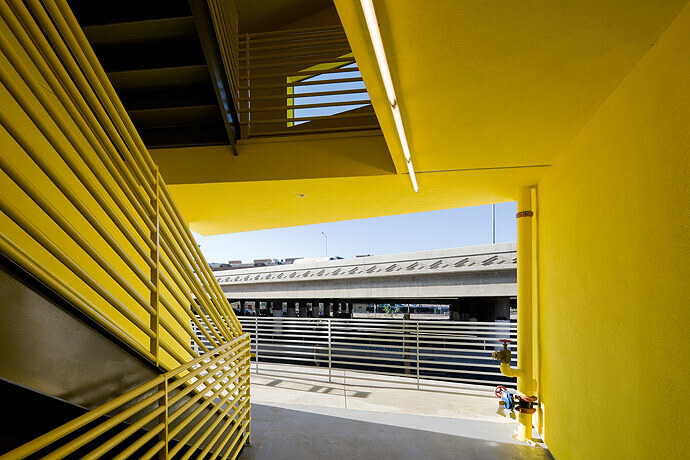 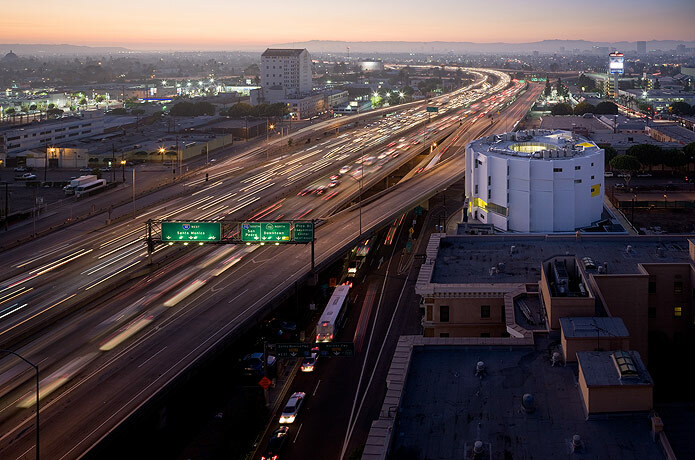 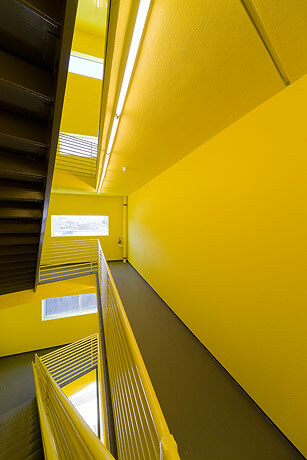 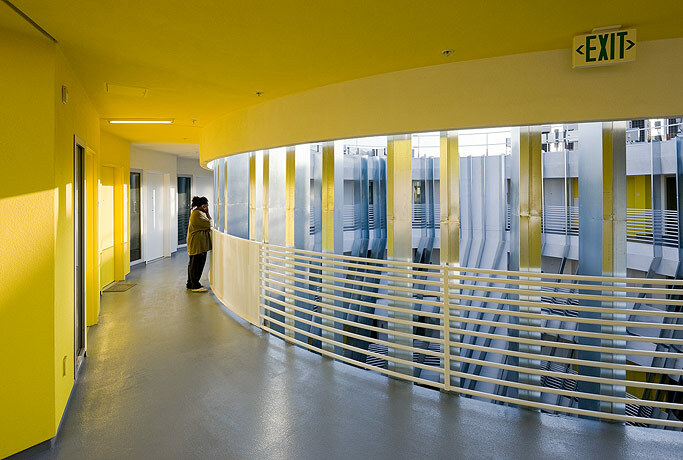 A window looks out over the freeway, and L.A. drivers can see through the thick, acoustic glass into the all-yellow space where the formerly homeless fold laundry, check e-mail, and watch TV. “The excruciating irony of the homeless is that because they are so much in the public view, they are shut off from the world. 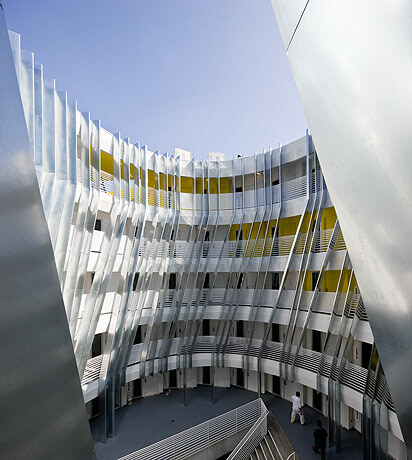 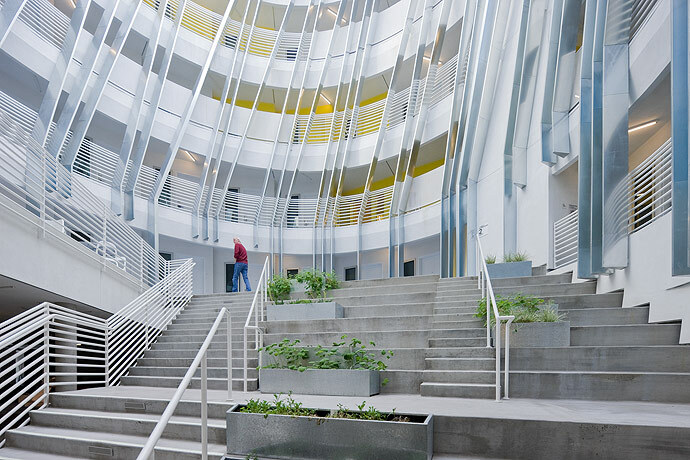 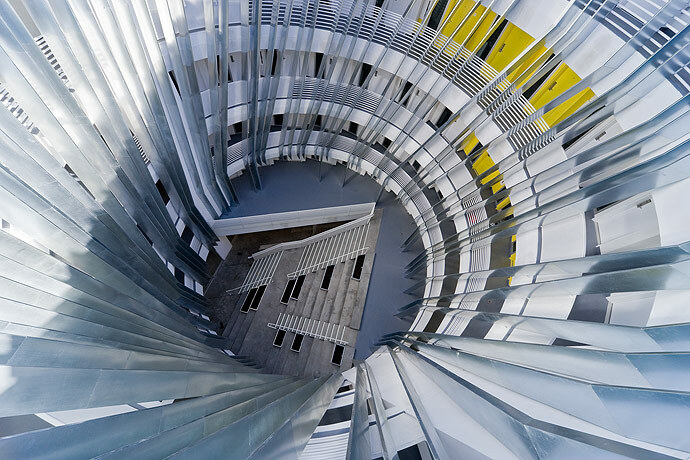 The building creates opportunities for public interactions, and gives them a chance to re-emerge,” explains Maltzan. 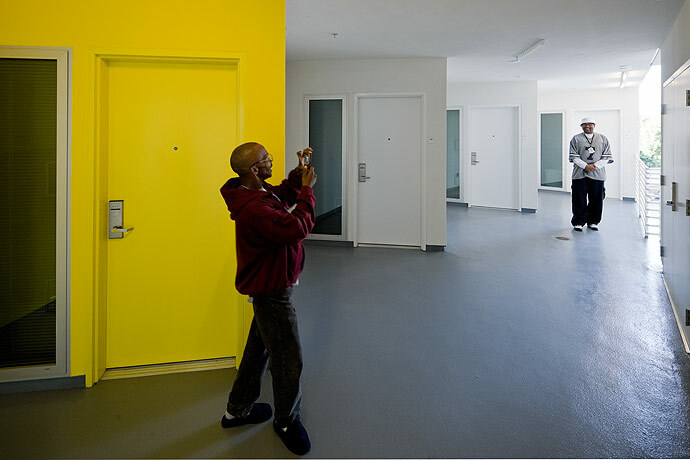 “It is important that people see that [the residents] are part of the greater community—it’s not to put them on display, but to see them as real.” It’s a charged, eye-to-eye situation, a risky attempt to humanize an outcast group.